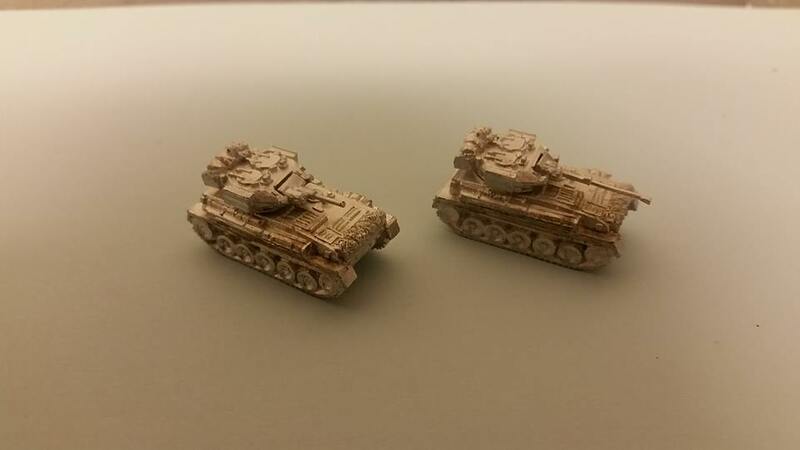 Just arrived pre-production models of the British Scorpion and Scimitar. These will be up on the website by the end of the week for pre-order and delivery early February. Each pack will include the hull, turret and rear stowage bin, plus both the 76mm gun and 30mm Rarden Cannon so either version can be modeled. Work has started on the production molds and the models will be available shortly. Price to be confirmed. Upcoming releases include 1980s U.S. infantry and heavy weapons, plus the Soviet 2S1 self-propelled gun and ACRV artillery command vehicle.